Permanently installed at Fridhems Musik Folkshogskola, Sweden. 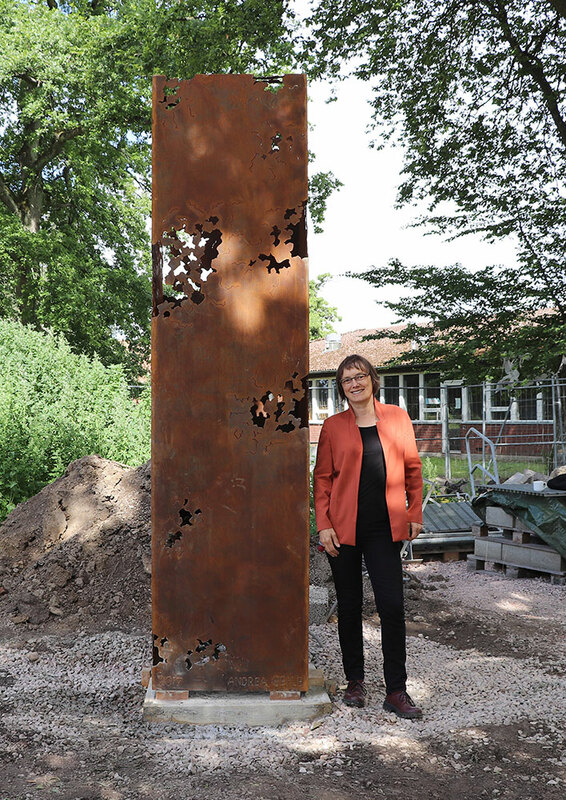 In July 2017 Andrea was invited to take part in a 12-day international sculpture symposium in South Sweden. During this intense work period she created a new 10 foot tall public art work. The sculpture references the garden town character of Svaloev and the conversion of the former agricultural college into the new music school. The sculpture marks the newly created entrance to the school. The photograph was taken during the ongoing landscaping work.